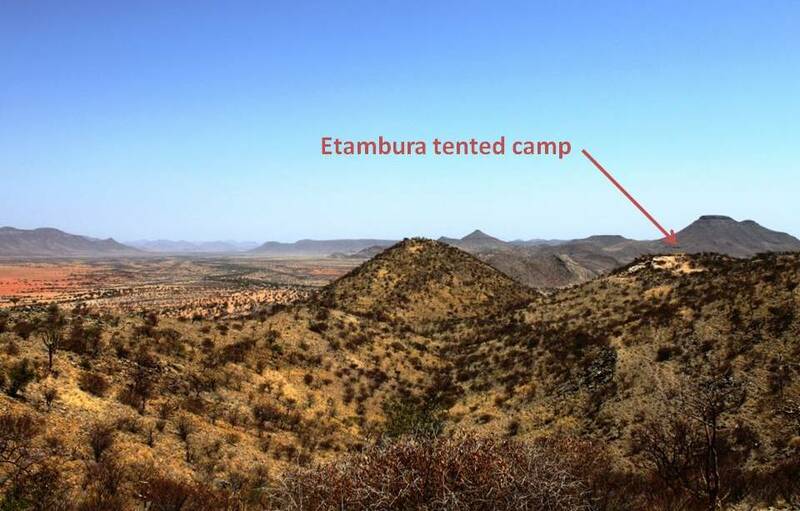 Conservancy Safaris are delighted to offer, to selected operators, the opportunity for their clients to stay at our stunningly located Etambura Camp. 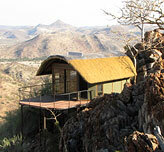 We are providing accommodation on a self catering basis. 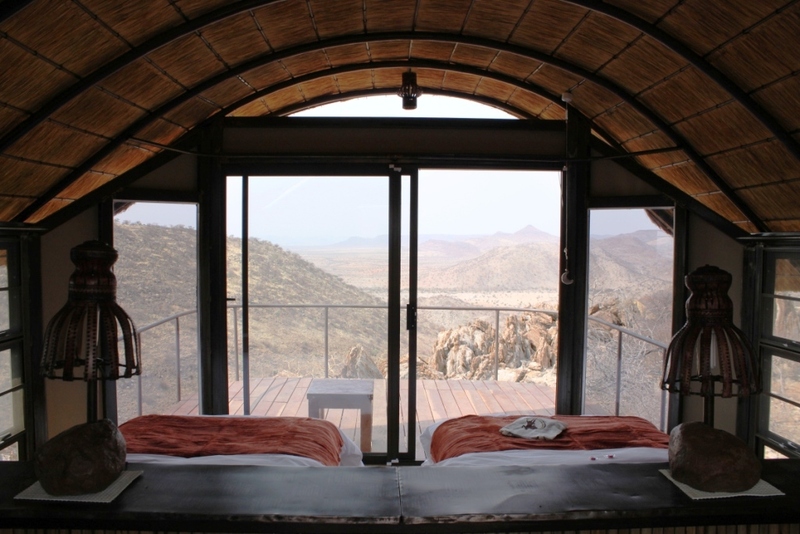 Etambura,Namibia’s first Himba co-owned camp is situated in Orupembe Conservancy on top of one of the highest hills above the holy plains of Onjuva where livestock and springbok peacefully graze together. 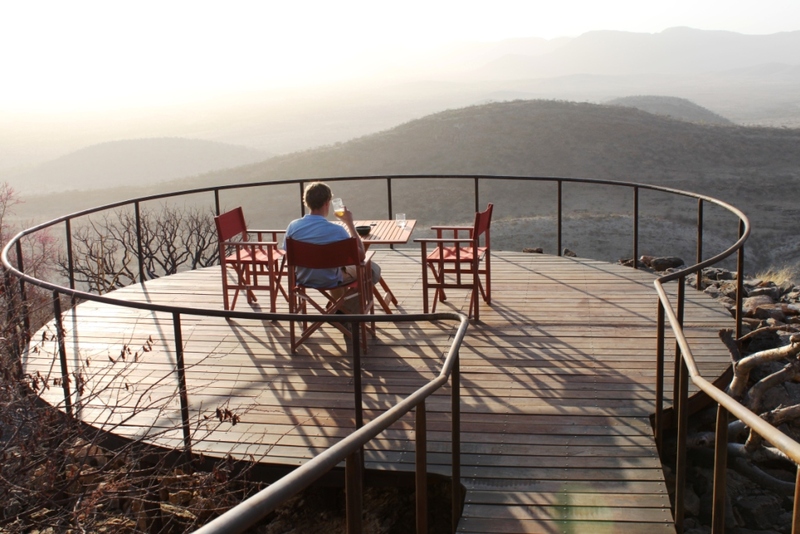 Etambura has five canvas and thatch chalets (one of which is wheelchair friendly), each with its own private deck extending from the hill and into the beyond, conjuring illusions of “stepping into air”. 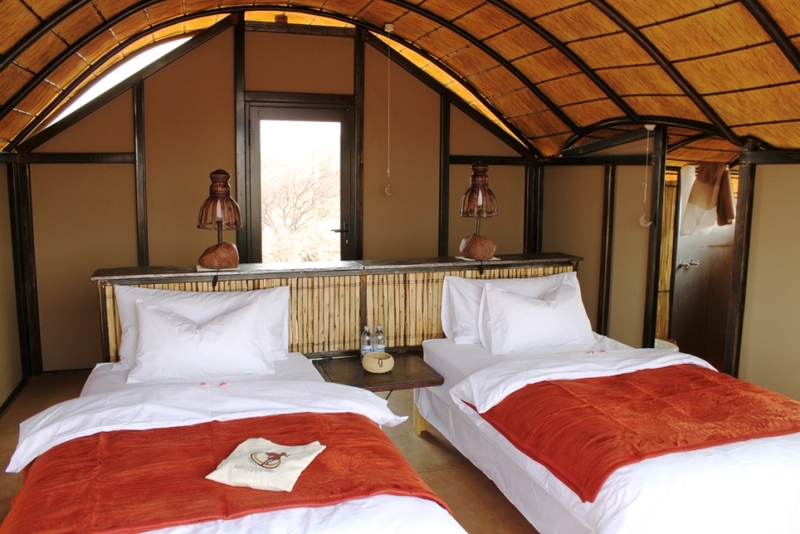 The twin bedded rooms are comfortably furnished and provide a wonderful retreat. Each bathroom, built either into the surrounding marble outcrops, or artfully created so as not to encroach on the endemic flora, has its own charm. Bed linen and towels are provided. 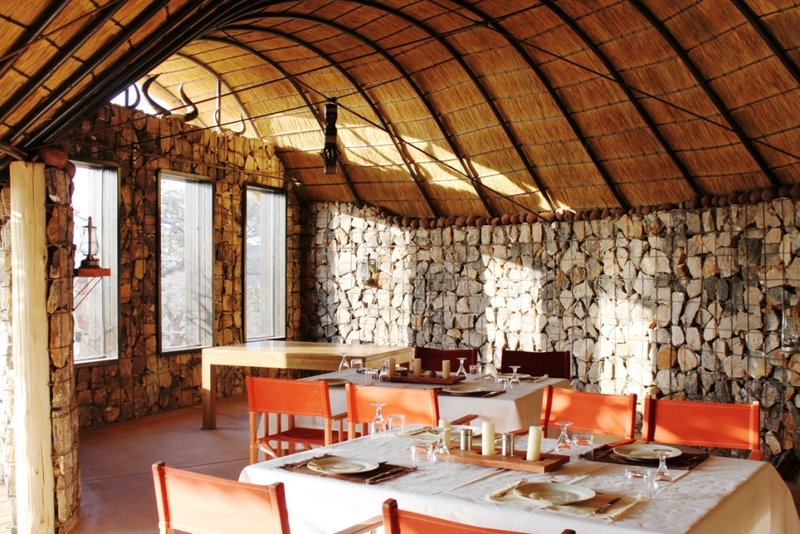 Rack rate N$575 per person per night.